We will design your heating system to minimise the carbon usage and keep your running costs as low as possible, regardless of what fuel you use. With a wealth of experience behind us, we specialise in working with our clients to give you the most cost-effective solution to heating your premises. 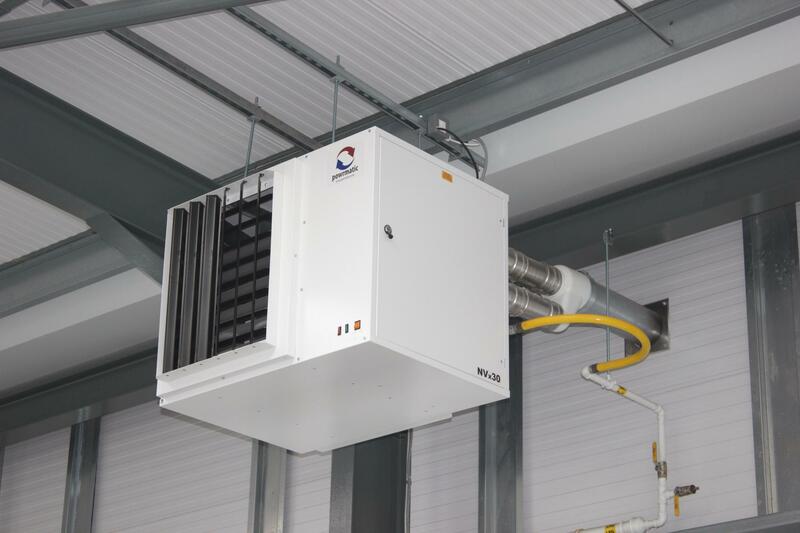 Whether you have a small industrial unit or a large commercial premise, we have the experience to find you the right warm air solution. We can also provide energy-saving fans which will recirculate the warm air which sits in the roof of the building. This can give you cost savings of approximately 30% overall. Warm air heating comes in various options where space is at a premium. Interested in our warm air equipment?